A city of great history and intrigue, Avignon has lured visitors from around the globe for centuries. Follow in the footsteps of the Popes as you discover what this enchanting city has to offer. From hilltop gardens to grand palaces and a bustling central market, there’s plenty to keep every visitor occupied. And if you’re staying a little longer, Avignon also makes a great base for exploring the wider region as it’s ideally located close to many of Provence’s finest attractions. Here are my recommendations for the best day trips from Avignon. Many people choose Avignon as a base for exploring the wider Provence region. Onward travel can be accomplished by car, bus or train. Although, as with my guide to day trips from Aix, I’d recommend the former for ease of exploring. While the thought of driving in a foreign country can be daunting, Avignon City is fairly easy to navigate and parking is plentiful. There are even several free car parks at your disposal just outside of the old city. As with most cities and towns in Provence, driving into the ancient city is not advised unless you’re confident navigating the narrow streets and can understand the road signs! Avignon is known as the transport hub of western Provence, and it’s easier than ever to access by plane, bus, train or car. The TGV will get you to Avignon from Paris in less than 3 hours, and Avignon airport is served by a limited number of international carriers offering direct flights from the UK. 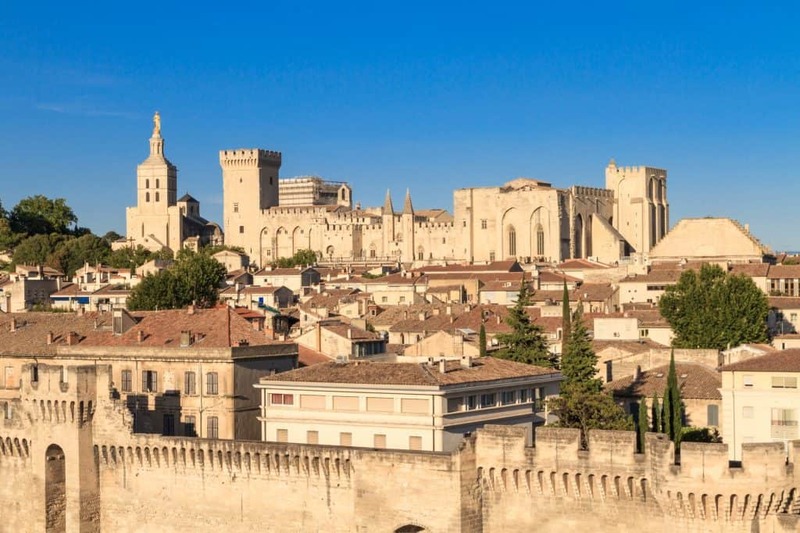 To travel onward from Avignon airport you have the choice of renting a car, taking the bus, or catching a taxi for the short journey into the city. From the TGV station, it’s as simple as jumping on another train for 5 minutes to reach the city centre. As mentioned, Avignon is well served by train and buses especially, but I’d still recommend hiring a car to get around. Public transport routes are more geared towards daily commuters than tourists and you may find yourself restricted in where you can travel. Book your car rental in Avignon here. If you don’t want to hire a car, your next best bet is taking day tours, which are plentiful and leave daily from the city centre. Where possible, I’ve included options for day tours from Avignon below. The following tours from Avignon are designed in a way that they are manageable to do in a day. And each of these destinations is reachable within an hour’s driving. If you’re looking for more things to do a little further afield, be sure to also read my post about day trips from Aix-en-Provence. 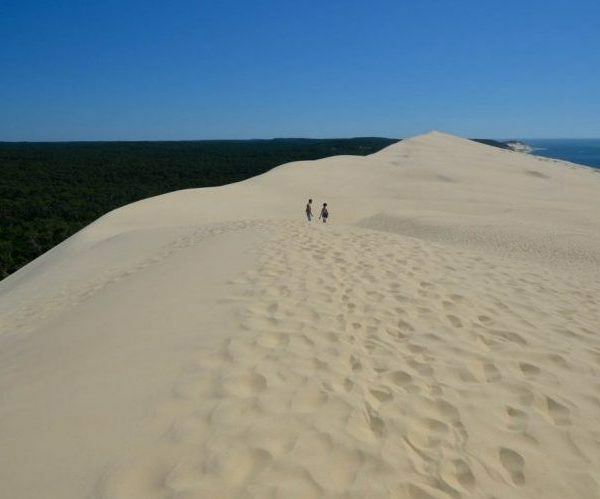 Simply choose which of these day trips from Avignon suit you best and build your itinerary from there! Below is a map detailing each day trip destination so you can get your bearings and visualise how far everything is from each other. 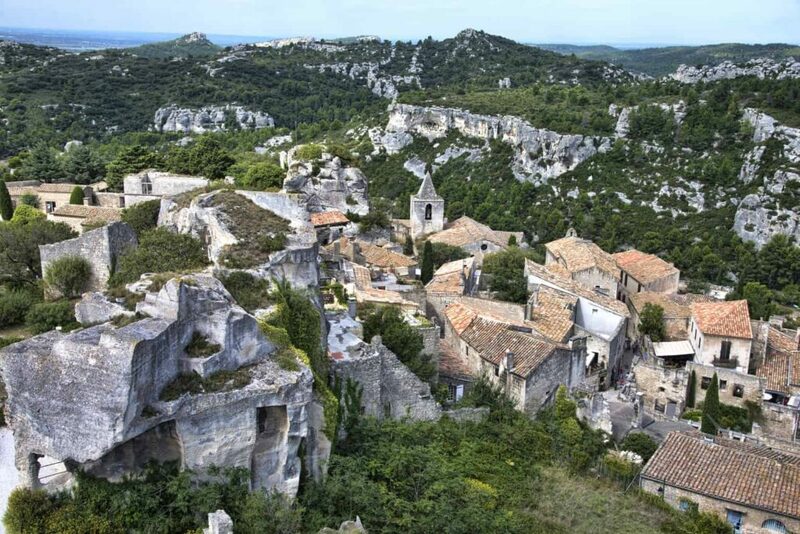 The charming village of Les Baux-de-Provence belongs to the “Most Beautiful Villages in France” association, and you won’t be left wondering why it deserves such a title! Located on a rocky hill in the Alpilles, this archetypical Provencal village is a must-see in Provence. There is plenty to see and do within the village itself, as it’s brimming with historical treasures. The most notable of which is the Château des Baux de Provence. A spectacular sight, even in its ruined state. It’s one of the most impressive châteaus in Provence and hosts demonstrations, events and shows throughout the year. Carrières de Lumières is located a very short distance from the village and is an incredible experience. 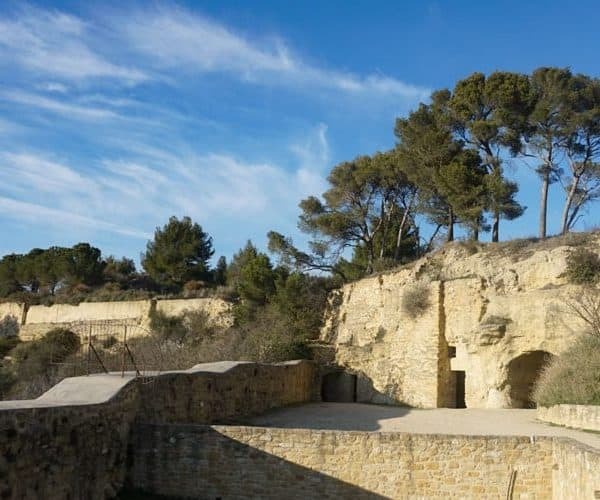 A music, light, and art installation set within an old stone quarry. Each year, the underground space features different artists’ work. From now through until January 2019 you can get acquainted with works by Picasso, Goya, and Sorolla, in a totally unique and mesmerising fashion. 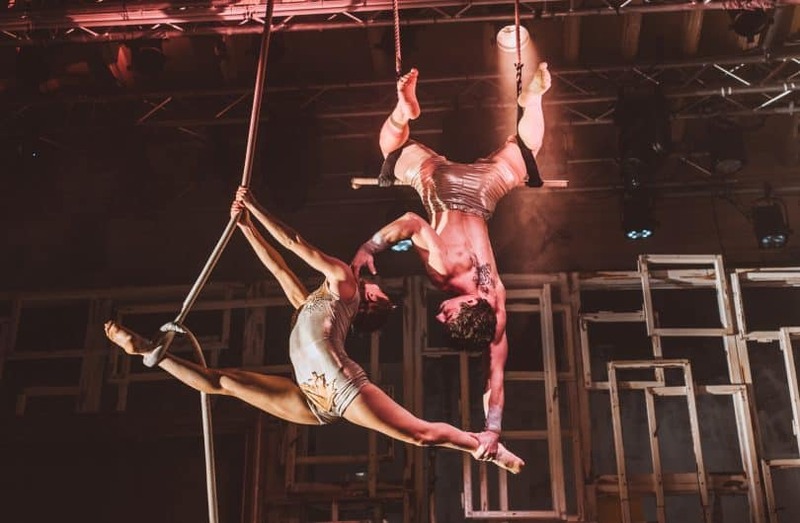 Insider tip: If you’re planning on visiting both the Château des Baux de Provence and the Carrières de Lumières, be sure to pick up a joint ticket which will save you €5. Full Day Tour of Les Baux-de-Provence, Fontaine-de-Vaucluse, and Saint-Rémy-de-Provence. See details and check prices here. Half Day Trip to Les Baux-de-Provence and the Luberon. See details and check prices here. 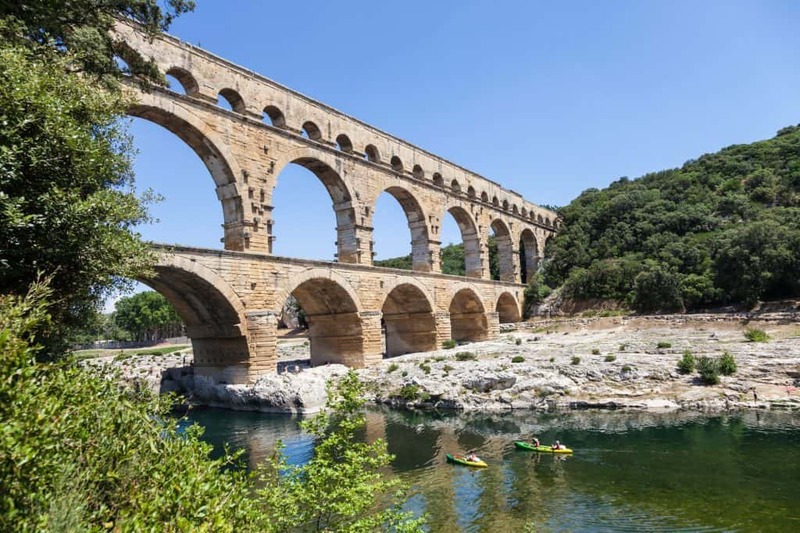 The Pont du Gard is one of those iconic sites that shouldn’t be missed on any trip to the South of France. The Roman aqueduct is an impressive sight looming over the Gardon River, and it’s a joy to discover. Walk the ancient road or take a tour to the upper level of the aqueduct. Take part in the Mémoires de Garrigue – a marked 1.4-km trail through vineyards, olive groves and oak trees, or have a refreshing swim in the river beneath the looming bridge. The site is also home to an interesting and informative museum, and events are held in the grounds surrounding the aqueduct throughout the year. Nearby, the medieval town of Uzès is a fascinating place to spend time before, or after your trip to the Pont du Gard. It has the same charming feel of many towns and villages in this part of France, and the old town has been lovingly restored. The Saturday morning market wraps itself around a central fountain in the Place aux Herbes square and is a medley of delicious smells and flavours, while the famed medieval garden stimulates the senses even more. Insider tip: Experience the magic of this magnificent UNESCO site from another angle – take a guided kayak below the bridge! 5 Hour Tour of Pont du Gard, Uzès & Nîmes. See details and check prices here. Half Day Wine Tasting and Pont du Gard Tour. See details and check prices here. After leaving the nearby city of Arles, Vincent Van Gogh spent a year at a psychiatric institution in Saint-Rémy. It’s here, and in the surrounding countryside, that the renowned artist painted some of his most famous masterpieces. Boulevard Mirabeau will be forever immortalised in the painting ‘The Road Menders” from 1889, and Van Gogh’s legacy can further be appreciated with a visit to the Van Gogh Art Centre. The old centre of the city is encircled by the remnants of an ancient protective wall, and many of the portes (doors) still lead you from the new, into the old. Saint-Rémy is celebrated as a bit of an artists hub, and it’s not hard to see where they get their inspiration. Beautiful townhouses wear a veil of ivy, the streets are flanked by leafy trees, and the atmosphere is most certainly alive and welcoming! 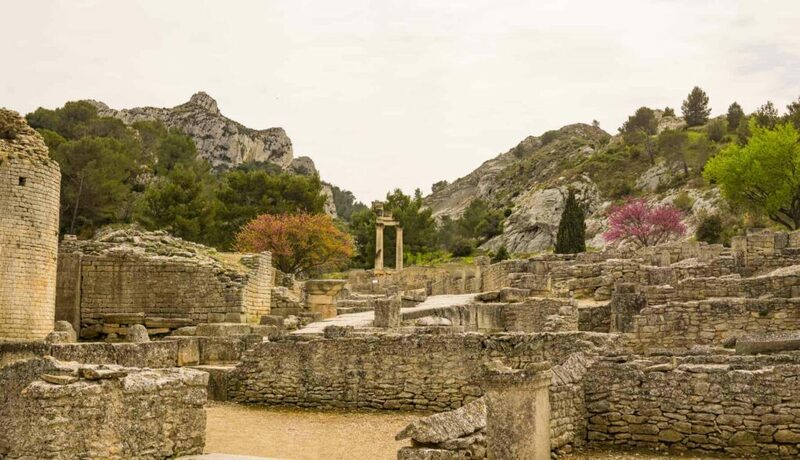 Insider tip: Buy the Saint Rémy Pass to visit several of the town’s finest sites (including Glanum below) at a reduced rate. Full Day Tour of Saint Rémy de Provence, Gordes and Pont du Gard. See details and check prices here. Full Day Tour of Saint-Rémy-de-Provence, Fontaine-de-Vaucluse, and Les Baux-de-Provence. See details and check prices here. Walking around the fortified town of Glanum, it’s easy to see why the Greeks and Romans chose this idyllic spot to set up shop. Framed by the craggy mountain ridges of the Alpilles, Glanum is a remarkable place to visit. Walk among the ruins, peer into the sacred well and gaze up at the remaining three columns of the twin temples as you try to imagine what life was like here 2000 years ago. A little further Northeast, in a somewhat nondescript pocket of Provence you’ll find the extraordinary Thouzon Grotto. Also known as the Cave of Fairies, it is a magical experience being led through the underground world of stalactites, stalagmites, draperies, underground lakes and cave pearls. I’m not a huge fan of the ‘media’ element of the tour, but the guides are informative, funny and helpful – making this a worthwhile stop on your Provence road trip. Insider tip: If you’re visiting Provence in the summer, explore Glanum in the morning, before seeking shelter in the caves in the afternoon. Full Day Provence Sightseeing Tour Including Glanum. See details and check prices here. While Aix is the cultural capital of Provence, Arles is rising to be the capital of art. The former home of Vincent Van Gogh, Arles is a beautiful, compact city to explore. Walk through the town and follow in the trail of Van Gogh, to see the exact spots depicted in some of the illustrious artist’s paintings. Take in the history that surrounds you as you walk past the amphitheatre and intricate church façades. And discover the underground world through the cryptoporticus. As the gateway for the Camargue, it’s a great place to hop on a tour to explore the river delta. 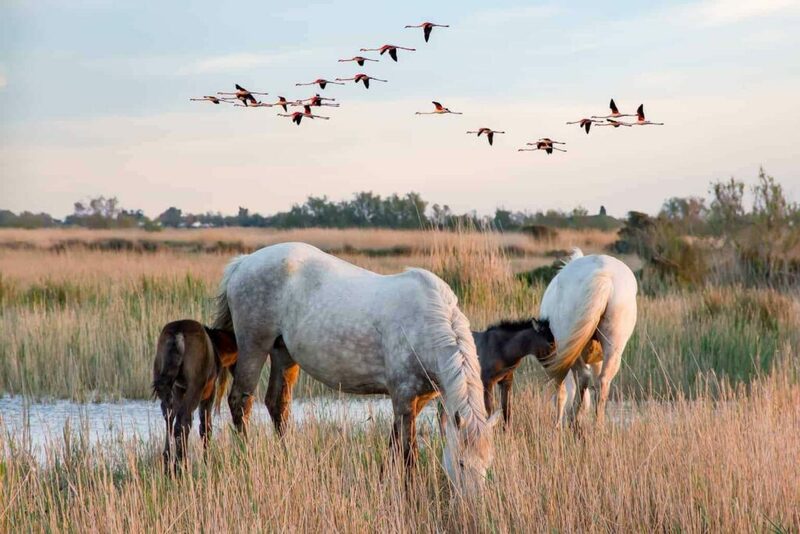 It’s here you’ll find the famed Camargue bulls roaming freely, the fairytale-like Camargue horses with their long white manes, and the vibrant pink flamingos that flock to the wetlands every year. You can, of course, drive yourself through the Camargue. If you do, be sure to call in at the medieval city of Aigues-Mortes and stretch your legs on Saintes-Maries-de-la-Mer beach. Insider tip: Arles is very walkable so I’d recommend heading first to the tourist office to pick up your walking map of the city. For the Camargue – if you’re short on time, head straight to Parc Ornithologique for your best chance to see flamingos. Full Day Tour to the Camargue. See details and check prices here. 5 Hour Tour of the Camargue. See details and check prices here. 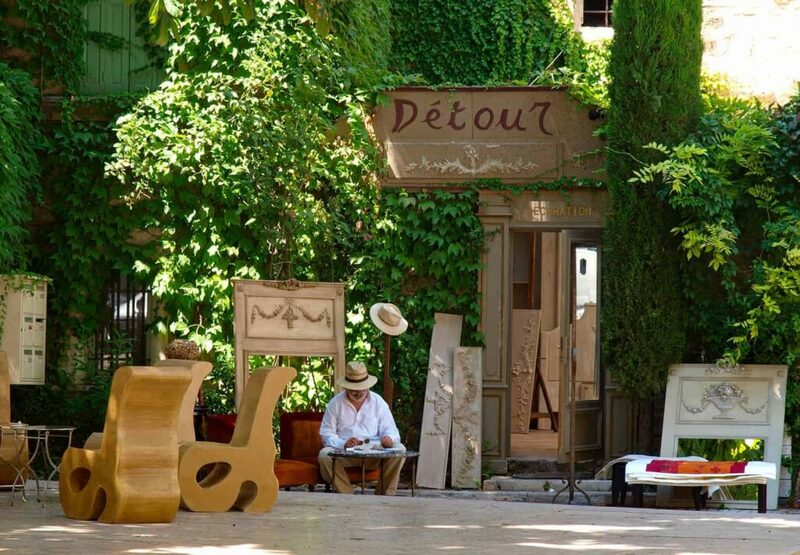 As the antique capital of Provence, L’isle-sur-la-Sorgue is a must visit for anyone interested in perusing the brocantes and antique markets. Twice a year (at Easter and in August), the town hosts some of Europe’s largest antique fairs. But if you’re not lucky enough to be visiting at those times, the habitual Sunday morning market will not leave you disappointed. L’isle-sur-la-Sorgue translates to ‘the island on the Sorgue’ and as you walk over and around the flowing canals, you will have no doubt that you are, in fact, walking on an island. The water wheels that pepper the town are a remnant of when the town was home to a burgeoning textile industry. 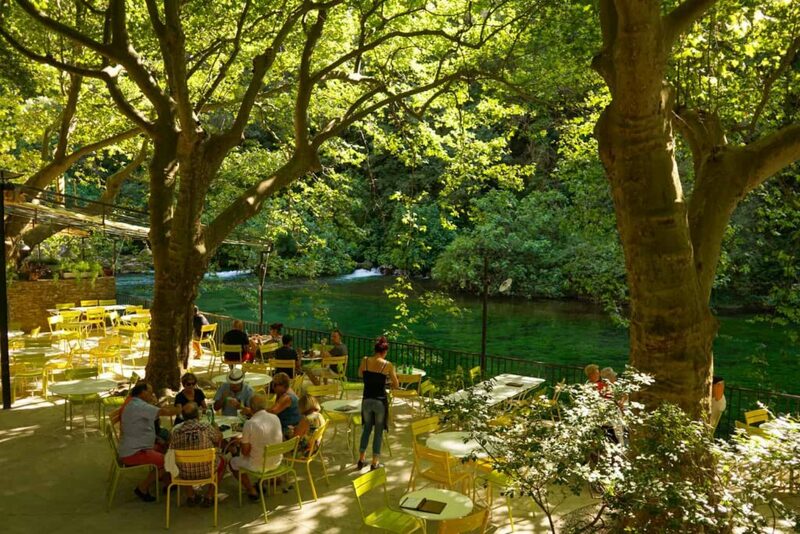 And during summer, you’ll find locals and visitors alike flocking to Le Partage des Eaux to relax under a shady tree, or to dip their feet in the softly flowing Sorgue. 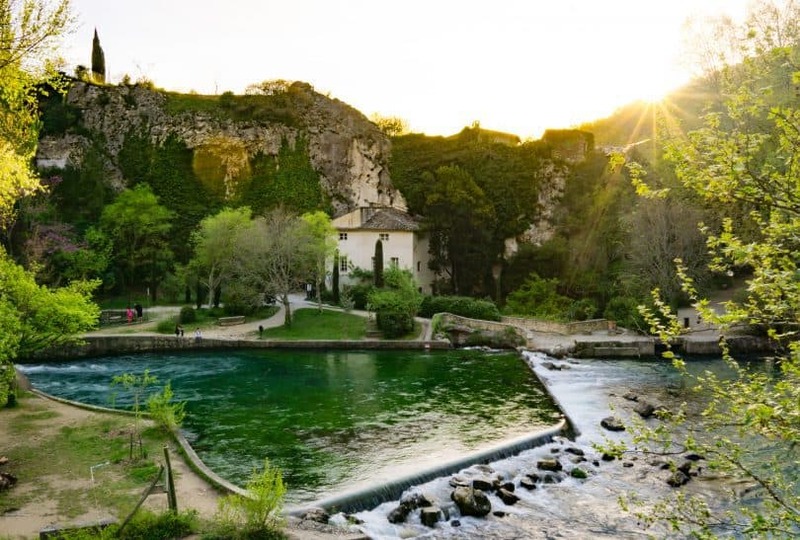 A short drive from L’isle-sur-la-Sorgue is the Fontaine-de-Vaucluse. The name relates to both the fountain that feeds the Sorgue River and the picturesque village which surrounds it. The petite village serves to accommodate the masses of visitors who come to enjoy the fountain every year. A short walk past riverside cafes and tempting gelato stalls will deliver you to the source, which always looks different, depending on the season. Sometimes it’s overflowing with water and at other times you need to climb over the barrier to be able to catch a glimpse of the turquoise pool below. Insider tip: On the way up to the mill you will pass Vallis Clausa, a traditional paper mill. It’s open every day and is an interesting place to see how paper is made the traditional way (powered by the river) and to pick up a unique and locally made souvenir. Private Guided L’Isle-sur-la-Sorgue Bike Tour. See details and check prices here. Half Day Tour of L’isle-sur-la-Sorgue and Fontaine de Vaucluse. See details and check prices here. If there’s one thing you must do when visiting Provence, it’s taking a tour of the villages of the Luberon. 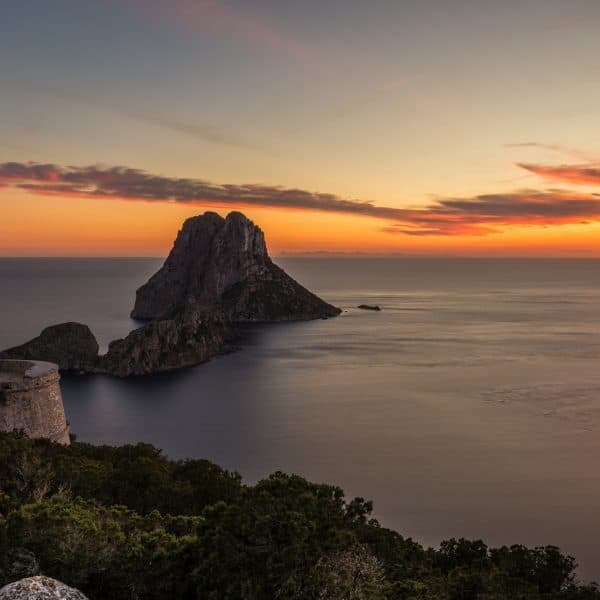 These hilltop havens have harboured artists throughout the years, who were inspired by the incredible landscapes, pure light, and simple pleasures available. You can still sample this authentic Provençal way of life today, it lives on in the villages of the Luberon valley. Touring the Luberon villages can be done in a day, or you could linger over each village for much longer. 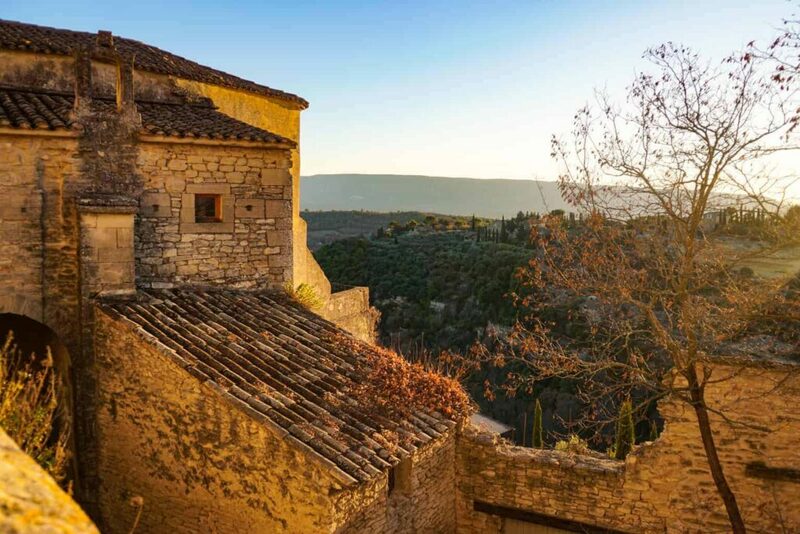 Visit the iconic village of Gordes, see the Sénanque Abbey surrounded by fields of lavender, wander through the unique landscapes of the ochre trail in Roussillon, walk through a cedar forest near Bonnieux, and visit the restored mill in Goult. To read more about the villages of the Luberon, click here. To find out how to drive the villages of the Luberon in a day, click here. Insider tip: If you can’t make it to Les Baux-de-Provence on this trip, take a trip to Buoux in the Luberon instead. Less famous than it’s Alpilles counterpart, it is just as intriguing and the views are astonishing! 5 Hour Tour of Lavender Fields & Luberon Villages. See details and check prices here. Full Day Luberon Villages Tour. See details and check prices here. 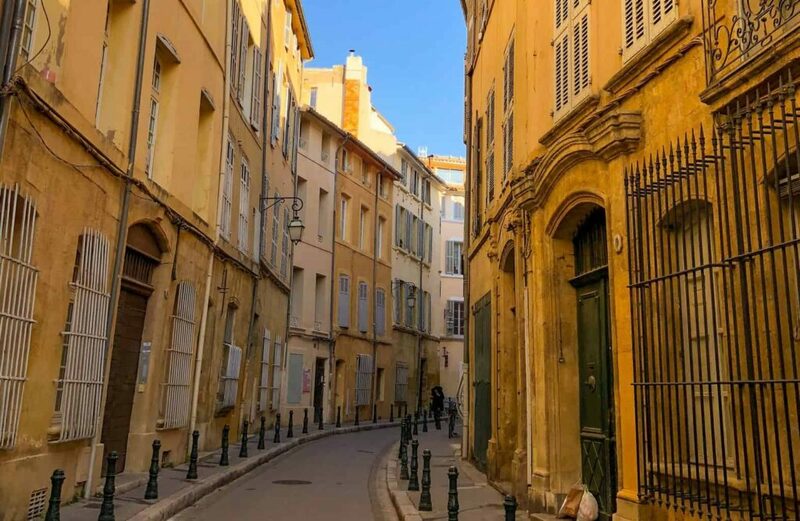 The golden tones and relaxed vibe of Aix-en-Provence will seduce you from the moment you step into the sultry streets of the old town. Wander the labyrinth of winding lanes as your gaze is pulled in every direction by beautiful cafés, curated shop displays and the mouthwatering scents wafting from corner boulangeries. Known as the cultural heart of Provence, Aix is awash with galleries and museums showcasing work from both homegrown and international artists, telling the story of the town’s rich past. Don’t miss the markets which take place throughout the week, visit Paul Cézanne’s former studio, delight in the collections displayed at Musée Granet, take a dip in thermal waters at Thermes Sextius, and soak in the welcoming atmosphere of this cosmopolitan city. Then when it all gets too much, rest in the exquisite surroundings of the Pavillon Vendôme, a manicured garden framed by flowers at the foot of the museum. Insider tip: For amazing Lebanese food in an intimate setting, head to Sajna in the old town. The flavours are wonderful, the service is excellent, and they cater to vegetarian, vegan and gluten-free diets. 3 Hour Historical & Gourmet Walking Tour (from Aix). See details and check prices here. A must-do day trip from Avignon for all the wine lovers out there! Châteauneuf-du-Pape is a charming small village crowned by a ruined medieval castle. And while the village itself is worthy of a stroll, it’s the wine that draws in the visitors year after year. The first vines were planted in the surrounding countryside by the Romans, but it wasn’t until the 14th century that viticulture was firmly rooted in the history of the area. Nowadays, wine from Châteauneuf-du-Pape has the AOC accreditation, meaning that the warm red wine grown in this area is protected. There are around 300 wine producers covered by the appellation which encompasses Châteauneuf-du-Pape, Orange, Courthezon, Sorgues and Bedarrides. You can taste these famed wines either at the cellar door or at one of the tasting rooms in the village. Insider tip: The best way to sample the wines of Châteauneuf-du-Pape is to book a tour with a local guide. Get picked up from Avignon (and don’t have to worry about having a glass too many) and enjoy learning about this unique area. 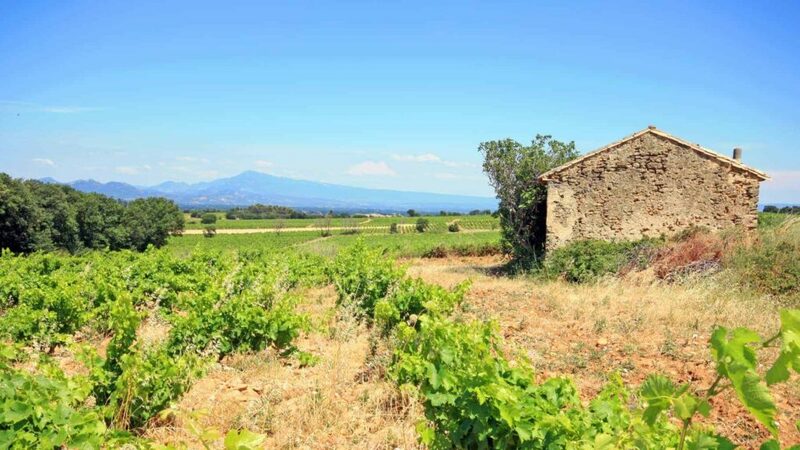 4 Hour Rhone Valley & Châteauneuf-du-Pape Vineyards Tour. See details and check prices here. Full Day Wine Tasting Including Lunch. See details and check prices here. Often referred to as the Rome of France, Nîmes is home to an absolute goldmine of historical sights dating back as far as 600 BC. The Nîmes Arena is perhaps the most stately monument in the city. The Roman amphitheatre remains wonderfully intact, unlike its famous Italian counterpart, but is slightly smaller in stature. It still seats around 20,000 people and as a venue, it hosts concerts and historic reenactments. 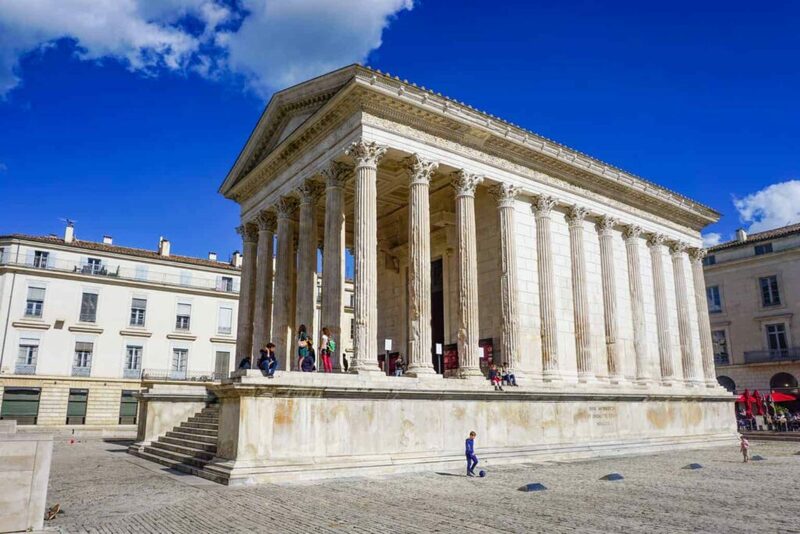 A short walk from the arena will have you standing in the shadow of the Maison Carrée – another incredibly well-preserved relic of the Roman era. But my favourite part of this intriguing city is without a doubt the Jardins de la Fontaine. One of the first ever public gardens in Europe, the Jardins de la Fontaine is the perfect place for an afternoon stroll. Wander through the network of ponds, have a picnic beside baroque sculptures, and climb the hill for unmatched views of the city. Insider tip: Climbing the hill behind the Nimes gardens will bring you to Magne Tower – the last trace of emperor Augustus’ rule. You can have a look inside for a small fee. 5.5 Hour Tour of Nîmes, Uzès and the Pont du Gard. See details and check prices here. Full Day Roman and Medieval Heritage Tour. See details and check prices here. Avignon is an amazingly interesting, cultural and vibrant city in western Provence. 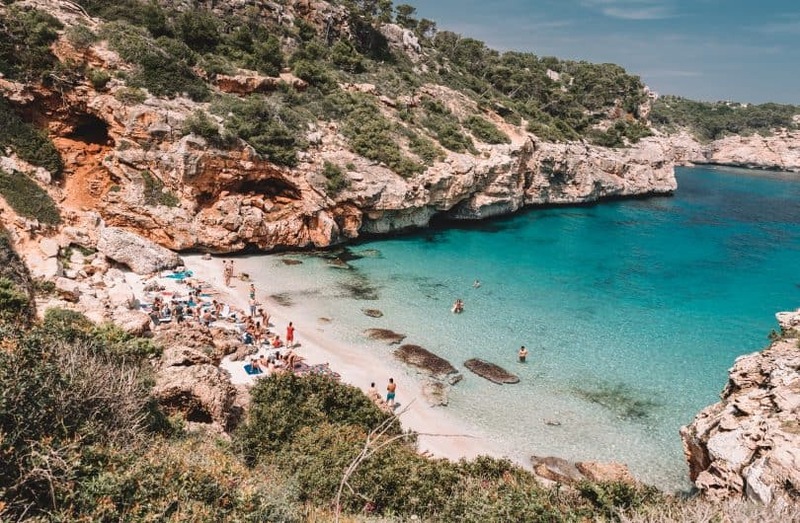 It also makes a great place to stay while you discover the delights of the region, as there are many of Provence’s key attractions within a short drive of the city. Please let me know if you try any of these day trips from Avignon on your next trip to the South of France! Nadine, I love your site! Lots of information and lots of pictures. I am hearing that there is a lot of road construction going on in some of the towns in Provence, Aix-en-Provence, in particular. Would you avoid using Aix as a base due to it? It looks like a great place to stay. Hi Kathy, sorry for my delayed reply! Yes, Aix is a lovely base from which to explore the region. It’s true that there are plenty of roadworks going on around the centre of town at the moment. But I guess the answer to your question would depend on when you are planning to visit? My guess is they’re trying to get the work done now, before the influx of visitors in the summer! Thank you Nadine. We will be visiting in mid September. I think we have decided to use Avignon as a base, and take the train to Aix for one day. I looked at the Historical and Gourmet Food Tour in one of your links and it looks interesting. I am thinking that a walking tour, a nice lunch and a stop at the Musee Granet to see the Picasso/Picabia exhibit could make a nice day. I thought about trying to fit in a stop to L’isle sur la Sorgue into the same day but I have not looked into public transport just yet. I feel it may be too much to do in one day. Thank you again and thank you also for such a nicely organized web site and so much information. Hi Kathy, that’s great you’ve decided on your base. I think the day you have planned in Aix looks perfect! But I wouldn’t try to fit in a trip to L’isle-sur-la-Sorgue on the same day as that’ll definitely feel too rushed! 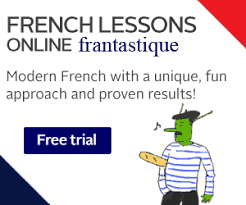 Great website and the information is really useful! 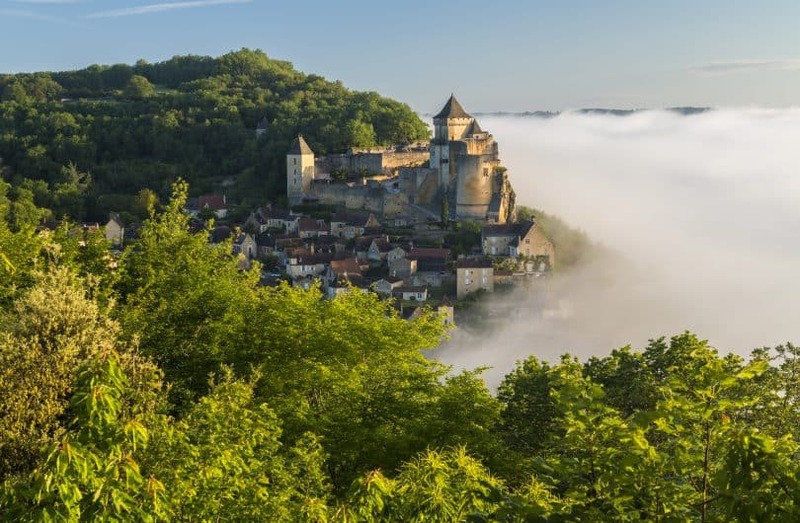 We’re heading to the region in March 2019 for a honeymoon with an 18month old child and plan to stay 5 days in Lyon, 5 days in Avignon and haven’t yet decided on the next stage before heading back to Lyon to fly back to the UK. Is there anything we need to know about the towns surrounding Avignon and any challenges with travelling with little ones? Hi Martin, when travelling with the little ones my best advice is to not plan too much into the day. Take your time to enjoy the region without running from one attraction to another. Baby carriers are a great accessory to have on hand, as many French streets (and attractions etc) aren’t stroller-friendly. And I’d recommend hiring a car to sightsee if you can. As for the towns around Avignon – what is it, in particular, you wanted to know? How great to find a kiwi website Nadine. Im looking at having 4 or 5 nights in Provence in May 2020 with my daughters .ages 40 45 and myself 68. Will certainly do 2 or 3 of the day trips you recommend. Any suggestions for a hotel in Avignon ? which is in central city where we can walk and also be picked up from for tours. We are on a budget and will share a triple room . Really enjoy your website . So much info on google it can get co fusing .but we have heaps of time to plan. Hi Sue! Sounds like a great family trip 🙂 You could try the Kyriad Avignon which is reasonably priced, has good reviews, and rooms with multiple single beds. Thanks so much for your comments – glad you’re finding it useful!